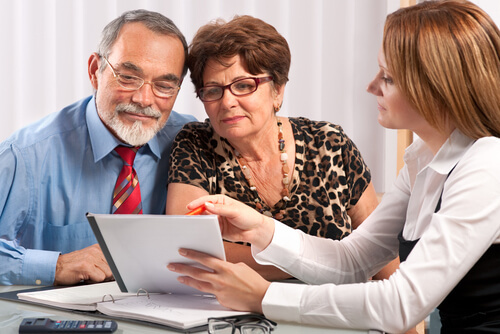 Help Your Retirees With Our Free Medicare Advice Service for HR Dept. Hello to all the HR personnel out there who carry the burden of trying to relay Medicare advice to your retirees. Guess what? If you have an open mind that burden can be lifted and as a free service no less. That’s what BGA Insurance Group is all about; providing free services to all HR departments and to their current and past retirees. Just to provide you with a little bit of history, I’ll give you the “Readers Digest” version of it all. BGA was formed in 2008 with the sole purpose of assisting retirees and seniors with choosing the best Medicare and Part D options. If you think about all the literature, brochures, letters etc. that have been mailed to anyone retiring or turning 65 you would think the focus of insurance carriers would be to wipe out all the trees and forests on the planet. It creates nothing but confusion for the Medicare recipient and a lot of wasted paper. Ask any senior or retiree if they were never guided properly and how much money it set them back. 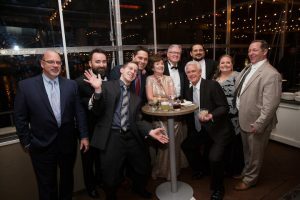 This coming May BGA Insurance Group will be celebrating it’s 10-year anniversary! An important milestone that we are all proud of. Over the course of the last 10 years, we have seen a lot of changes to Medicare, private insurances, and the consumer. In our effort to reach even more retirees who may be frustrated by not receiving all the correct Medicare information, we are adding a new repertoire to our focus. In addition to reaching out to seniors individually, we are also meeting with human resource departments to relieve them of the burden of cycling through all the confusing Medicare rules and options. BGA wants to provide human resource departments the same experience we provide to our retirees and seniors that we meet with on an individual basis. Why do I think this is a great idea? Think about this for a moment. As an HR employee, have you ever given a retiree a bit of wrong information purely by mistake? It’s nothing to be ashamed of because Medicare can be a very daunting task with all the changing methods and regulations on an annual basis. For example, Cobra is no longer considered credible coverage by Medicare, did you know that? Very few people do. Long story short have you ever given the advice to a retiree about jumping on to Cobra? The way it reads now is that any retiree optioning for Cobra once their credible coverage has ended may now endure a penalty by Medicare. Who will that retiree be upset with, Medicare or their HR person who recommended Cobra? Let BGA Insurance Group help you now and relieve you of that burden. After all, it cost the HR department nothing as well as your retiree. It is a free service provided to everyone involved. As agents we are required to keep up with our “continuing education” to maintain a license, you shouldn’t have to worry about this in the HR department. Over the last week or so BGA has been successful in partnering-up with a few large sized companies and their HR personnel departments. In fact, these companies were relieved that we reached out to them and explained exactly what we have to offer. Don’t be left behind, we can be a very valuable asset to your department and your retirees. We can meet with you and your staff to review and answer questions about how Medicare works for current employees, their spouses, and retirees. Assist retirees with their healthcare options in-person, on the phone, or give them the proper tools to do a self-guided search for the right plans to fit their needs. Create brochures and a website (platform is already created) for your retirees branded with your company logo (if desired) to help so they know they are in the right place to find information and assistance when researching and enrolling in plans. The best part of all this is that we are in contact with our clients on an annual basis reviewing their coverage. 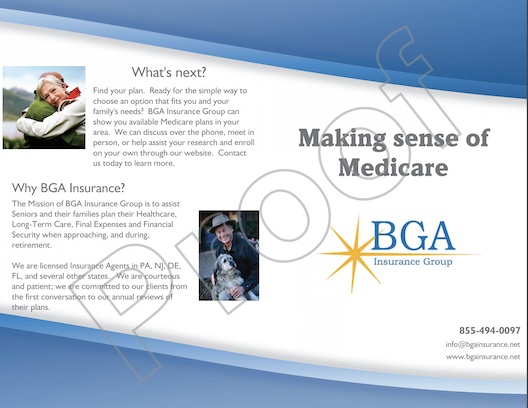 BGA will provide the same customer service to your retirees making sure they are always updated on any Medicare changes and any changes they might want to make regarding their healthcare. Click below to view an example brochure that you can hand to your retirees that has some educational information about Medicare, along with contact information for a local and licensed insurance agent. Read some of our many testimonials to learn how we have helped many seniors choose the right plan for them.